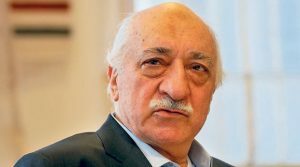 President Recep Tayyip Erdogan Tuesday told members of his ruling AK Party that three Turkish men, aligned with his US-based rival cleric Fethullah Gulen, had been detained in the African country of Gabon where the men have been charged for belonging to a terrorist organization in reference to Ankara’s accusation of Gulen movement of masterminding the July 2016 failed coup. The men have been handed over to Turkish authorities following their arrest on March 23 in Gabon. Erdogan speaking to politicians of his party praised the operation reportedly carried out by Turkish intelligence agents in cooperation with Gabonese authorities, reports say. Gulen, a former Erdogan ally has fallen from grace. Ankara has issued an extradition demand to the US over claims that the cleric and his movement instigated the failed military coup of July 2016 in which hundreds of Turkish died. Ankara has launched a purge against loyalists of the US-based preacher. Ankara has pressured several African governments to close down Gulen-sponsored schools.